OH EM GEE!!! "These smell delightful!" The comments you will get on this arrangement are profuse and unending! 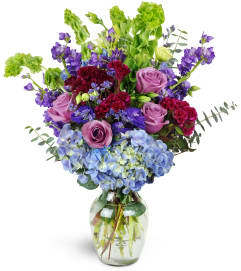 Every flower used is one that indulges the senses in the most lush garden smell! 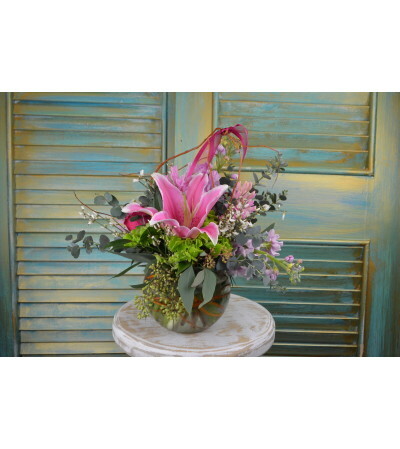 It is a bright, spring toned mix of blooms including - stock, lilies, roses, ginestra and more of the most fragrant stems we have! 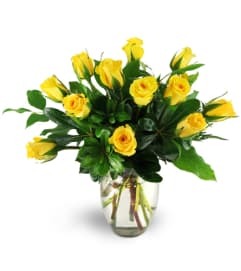 All flowers and vessels are subject to change for something similar due to seasonal availability and circumstantial weather where they are grown.